As a web manager, your clients or boss expects you to boost their website’s ranking on the search engine. So, what do you do to get the job done? Do you do it yourself, or hire a SEO specialist to do so? You must be assuming that SEO to be just another marketing function, like buying ad spaces. In this blog, I will tell you why it is not a good idea to treat SEO as just an add-on. We will also look at how you can incorporate SEO, effortlessly, into your web strategy. In today’s time, SEO is no more than a series of technical steps that can be easily repeated. You may think it is about adding meta-tags, changing the underlying codes, making a few minor changes to the content page, and submitting a site to a search engine. If you have followed these steps, your site would have been found on the first page of Goggle and other search engines. This was true a few years ago, but it is not true anymore. Also, if you follow some of the out-dated black hat SEO strategies that were prevalent in the past, the chances are high that you will be hit with a Google penalty, which will ultimately cause you more harm than good. 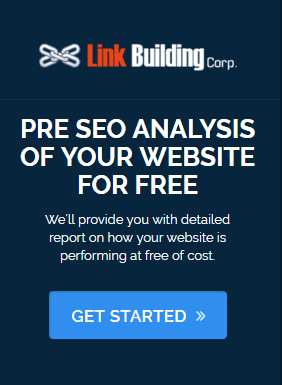 Must Read: How To Do An Website SEO Audit? If this is all you are considering to do, chances are, that your site won’t appear in the first page of the SERPs (Search Engine Result Page), and it might appear on page 60 or even further down below. The search engines have become smarter and more sophisticated. They look at several different factors, and they don’t specifically emphasize on meta-tags, when determining rank. So what do the Search engines look for? They take a number of factors in consideration, while ranking websites. One important factor is the vote. In search, a link is deemed as a vote. In order to get people to vote for your website, you require a site that is link-worthy, and the voting box can be manipulated. A vote from a huge brand, such as Microsoft, for instance, is worth way more than many votes from sites people have not heard of. The search engines such as Google, tend to reward popularity, which is determined by other sites. If the information provided by you isn’t relevant and popular enough, you won’t get a higher ranking. Also Read: How To Do Local Keyword Research For Your Business? To be able to get these links, publish pages that people would love to link. Not just the home page, you will need links into internal pages as well. Figure out what sites would you link to, and what pages would you link to. Do not link to a competitor in you niche industry, or to someone else’s e-commerce product catalogue. Rather, link to pages of notes, and pages of reference material, pages of news, and other significant content that is noteworthy. That’s what most of the webmasters do, not just for search engines, but on social media sites as well. You should also focus on the quality of your information, which we will discuss below. Does it sound too difficult to achieve? 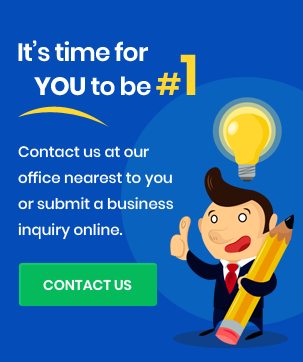 3- Do You Really Need SEO? If it’s a known brand that your existing customers will come directly to, you won’t need to do much with SEO. As long you have a brand name, you’ll be rewarded. 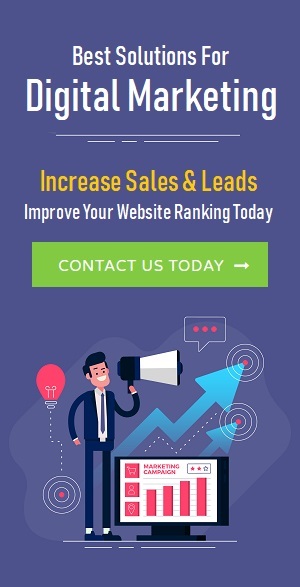 However, if you are looking to attract new customers, or looking to attract customers away from competing brands, then you would require giving SEO, a serious thought. There are chances that you can participate in the search channel without using SEO. You can buy clicks, using PPC. However, it can be expensive as the incentive for Google is to force higher click prices, through bid competition. You will require weighing the ongoing cost against the cost of implementing SEO strategy. Many people go for both SEO & PPC in order to maximise a sites’ visibility. You will need to have SEO if a long-term, cheap, traffic stream from visitors is important to you. You need SEO strategies, if you wish to attract visitors who might not have heard of your company before. You need to be on top of your SEO game, if your competitors are also using SEO. 4- What Is the Best Way to Approach SEO? If you’re planning on launching a new website, you have an upper hand over those who must retrofit an SEO strategy. As SEO flows from strategy, it is tough to retrofit a web strategy that works against SEO, which can easily happen. For instance, Google favours a regularly updated, reference information, well linked publishing model, like Wikipedia has. It is obvious that commercial sites aren’t going to look anything like Wikipedia. However, there are a few lessons that can be learnt. The key point is to integrate different forms of detailed information into your site, which preferably has a reference angle, and not a sales pitch. For instance, take a look at Amazon. It is a product catalogue, with a twist. Amazon lets the users write their reviews. These review texts can be crawled by Google. The review text helps Amazon to stand out from other product catalogues, which to a search engines would all look pretty much identical. Search engines tend to disregard duplicate content. Therefore, you should include a section on your website that allows for the regular publication of unique, reference material. For example, industry news, a trade dictionary, discussion forums, blogs encouraging user content, and comments, tutorials, and much more. You can even split your web strategy across various sites. One site can be a business site, while another site can be information based. Your SEO may have many ideas on this front, be quick to involve them early. The web is all about putting the user first, and search is no exception. Web content is a commodity. If your site doesn’t have the information the user needs, then they will not be on your website. There are numerous sites and the site that gives the users exactly what they want, wins the race. Fortunately, while searching, the user is already telling you what they want. SEO has a great way of finding this information. They can access keyword data, collected by the search engines, which show what terms users are looking for. You can create an entire web strategy based on this information. For instance, let’s imagine a site owner sells heating systems. It would be useful to know that a lot more people search for “solar heating systems”, than “boiler heating systems”. Obviously, with the people becoming environment friendly, the interest in solar energy is increasing. So the business owner may want to feature these products more prominently, and provide news on the latest developments through a blog. Keyword research shows that a lot of people want to know about installing heating systems, so the owner may want to provide guidance to get it installed. There can also be a list based on regions, which will likely attract regional search traffic. The site owner can even include a word list of heating terminology, to cover every possible heating related keyword term. You can do the same with your site or the site you are working on. Figure out what the users are really looking for, and put relevant information, with the right SEO strategies. Doing SEO on your own can be challenging, so go for white label SEO, where your SEO can be handled by a SEO agency, while your other operations are still in-house. You can ask your SEO provider to research keywords, to see what really your potential visitors want. The SEO experts can get this information easily. They can even encourage people to link to your site, by giving them a good reason to do so. Afterwards, they can create genuinely useful content, making your SEO and marketing work together, to get the optimum results.